Get a better night’s rest with SnoreMD. Add a second device for only $30 more. Getting a good night’s sleep is important because how you sleep at night can significantly impact how you feel the next day. But snoring can often get in the way, ruining you or your partner’s chance to get a good night’s sleep and affecting how you feel all day long. If you or your partner snores, SnoreMD can help reduce or eliminate snoring. During sleep, tissues in the throat relax, which can restrict breathing and create an irritating snoring sounds. And that means a noisy night for everyone. How can SnoreMD help? The adjustment settings move your lower jaw forward to open your airway and help you breathe better so you can sleep better. And snore less. 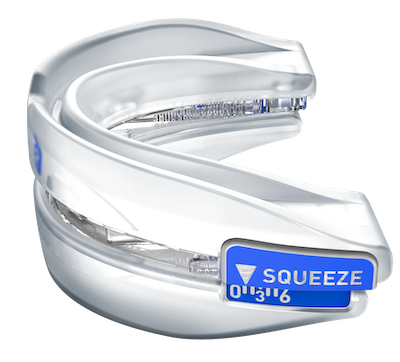 By moving your lower jaw slightly forward so you can breathe better, SnoreMD can reduce or even stop snoring. Which means you – and your partner – can get a quiet and peaceful night’s sleep.